Sometimes when I look back on these crazy weeks that we have I wonder how we really got through them. Last week over a three day span, I totaled 10 hours of sleep… that’s not healthy. But nonetheless, we manage to survive each and every time. (Stay strong Wolfpack!) I am thankful that this upcoming week isn’t looking too bad. 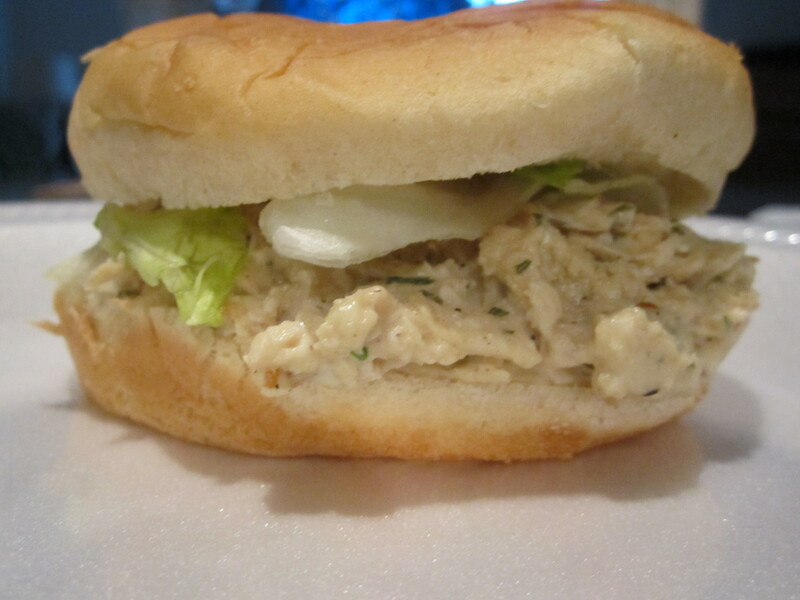 One night last week we had these delicious shredded chicken caeasar sandwiches for dinner. They turned out extra tasty and were so simple to make. It can’t get much easier than this. 1. Place chicken in a crockpot with 1.5-2 cups of chicken stock, cover and cook on low heat for ~6 hours. 2. Remove chicken from crockpot and place on cutting board. Pull chicken in to shreds. 3. Drain excess chicken stock from crockpot and place chicken back in the crockpot. Add dressing, Parmesan cheese, parsley, and pepper over the top. Stir well. Cover and cook on high heat for 30 minutes or until mixture is hot. 4. Spoon mixture in to each bun. Top with extra shredded Parmesan cheese and lettuce, serve.